A Boston Police Officer has been charged with Massachusetts Drunk Driving Charges after he allegedly crashed into a young woman’s car. The Boston Police Officer was arraigned in late July in the West Roxbury Division of the Boston Municipal Court on charges including Operating Under the Influence of Alcohol. According to the Suffolk County District Attorney’s Office, the Boston Police Officer was allegedly driving in Hyde Park at 68 miles per hour when he went through a stop sign and crashed into another vehicle, occupied by a young woman and her friend. Both were reportedly injured in the crash. The Boston Police Department received a lot of heat for this case because it was reported that, when other Boston Police Officers responded to the scene of the crash, the matter wasn’t investigated as it would have been had the driver not been a policeman. For example, there were allegations against the police department that the officer was not asked to perform any field sobriety tests; nor was he asked to submit to a Breathalyzer Test on scene. Because the Boston Police Officer suffered some injuries, he was later transported to the hospital, where his blood alcohol content was found to be 0.27%, in excess of three times the legal limit of 0.08%. Despite this, the media reports in the days following made note of these facts, and many in the community were questioning why the Boston Police were not seeking to charge this officer with any OUI / DUI crimes. 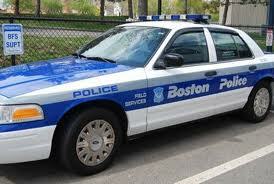 Many, including the media, complained that the Boston Police were protecting their own. Notably, the incident occurred on May 24, and the Boston Police Officer was not brought before the court on these charges until July 20, 2012. Boston OUI / DUI Lawyer Lefteris K. Travayiakis has experience in defending persons charged with Massachusetts Drunk Driving Crimes, including Operating Under the Influence of Alcohol, and is available 24/7 for consultation.